If you have been enjoying Valiant’s blockbuster summer event Armor Hunters as much as we have, we will get an extra issue to savor. 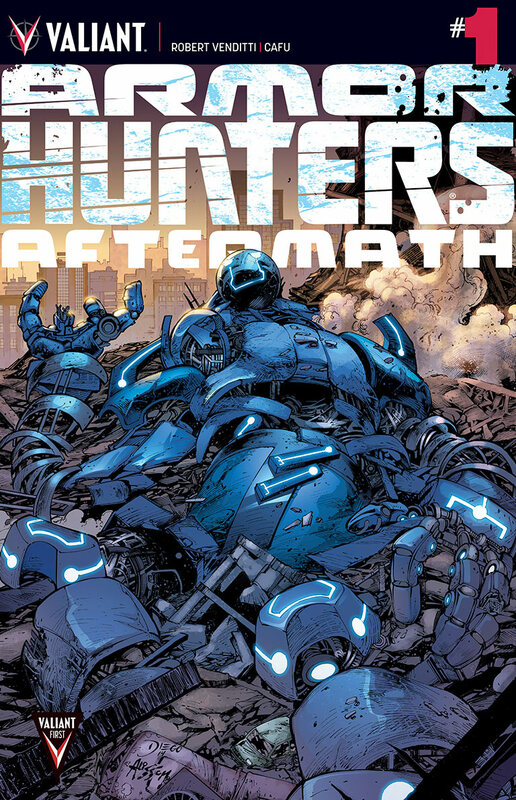 Valiant Entertainment announced today Armor Hunters: Aftermath #1 will be coming this October, which will serve as an epilogue for the main event. X-O Manowar and Armor Hunters writer Robert Venditti and artist CAFU will be the creative team for the issue. It will reveal the new status quo for a majority of Valiant’s teams and characters: X-O Manowar, Unity, Bloodshot, and the Harbinger Renegades. Sounds like an issue you won’t want to miss!